To distract people’s attention from the repulsive EXP 9 F, Bentley will be revealing a new model, most likely the latest iteration of the GT Speed. Bentley is heading to the Goodwood Festival of Speed with a fleet of cars of the racing, road and vintage variety as well as some new models. In fact according to the Flying B, "an exciting new Bentley is set to make its international debut, combining stunning performance with exquisite luxury in the Bentley tradition." Interestingly, Goodwood organizers have listed the Continental GT Speed as an event participator. Although this could well be the current GT Speed based on the older model, the general consensus is that it will be the new version based on the refreshed Continental GT, which this year got a new 500hp twin-turbo V8, some new styling cues and a slightly lower price tag than the W12 models. Whatever the car is, it will debut at the Supercar Run and be on show at the Bentley Motors stand during the event. If it turns out to be the GT Speed, expect a more potent version of the 6.0-liter W12 in the current model, tweaks to the chassis and lower weight. 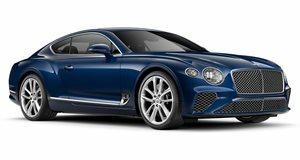 Aside from the Bentleys on show, which will include the controversial EXP 9 F SUV concept, Continental GT V8, 4.5-liter supercharged Birkin Blower and 2003 Le Mans-winning Speed 8 racer, there will be plenty of other eye candy to look out for. These include the Bugatti Veyron Vitesse, Toyota GT-86, Savage Rivale Roadyacht, Maserati GranTurismo Sport, GTA Spano and the Zagato-bodied AC 378 GT.